The Diocese of Savannah Catholic Schools provide a unique educational experience that powers potential by preparing hearts, educating minds, revealing Christ and cultivating the Roman Catholic tradition. Schools afford all students, staff and parents opportunities to grow in faith. Participation in the sacramental life of the church is an integral part of school programming. Expectations are that all students will exceed minimum standards and fulfill their academic potential. Rigor and relevancy are key to high level learning and problem solving. We are proud of our students’ academic achievements. The well-rounded curriculum of our Catholic Schools supports our students’ competency and skill level. Dedicated teachers and staff are recognized for leading and inspiring our students to excel in faith, leadership, academics and service within our communities. Our athletic programs and athletes are recognized for their competitiveness and good sportsmanship. Several schools in our Diocese are top-ranked in volleyball, soccer, football and baseball. Nurtures a personal relationship with God. Demonstrates knowledge of Church teachings, Catholic traditions, and Sacred Scripture. Applies Catholic virtues in decision-making. Exhibits a capacity for critical thinking and creative problem-solving. Demonstrates a readiness to perform with distinction. Understands, promotes, and practices the principles of Catholic social justice. Practices stewardship of gifts of time, talent, and treasure. Leads with dignity, kindness, morality and integrity. Stands confidently with a strong moral compass. Recognizes and lives by the ideals of admirable citizenship and social responsibility. SEE WHAT OUR SCHOOLS HAVE TO OFFER YOU! The Diocese of Savannah's Quality Assurance Review took take place in April 2016. The review was led by a team of professionals from dioceses across the continental U.S. and Puerto Rico. During the review, the Quality Assurance Review team interviewed a wide range of diocesan and school level stakeholders, examined artifacts, conducted school visits, and engaged in professional deliberations to determine the degree to which the diocese met the SACS/AdvancED standards. The team shared its findings in oral and written formats and made an accreditation recommendation for national review. The diocese uses the findings from the team to further its continuous improvement effort. With the awarding of accreditation status, the diocese and all of its schools are accredited. 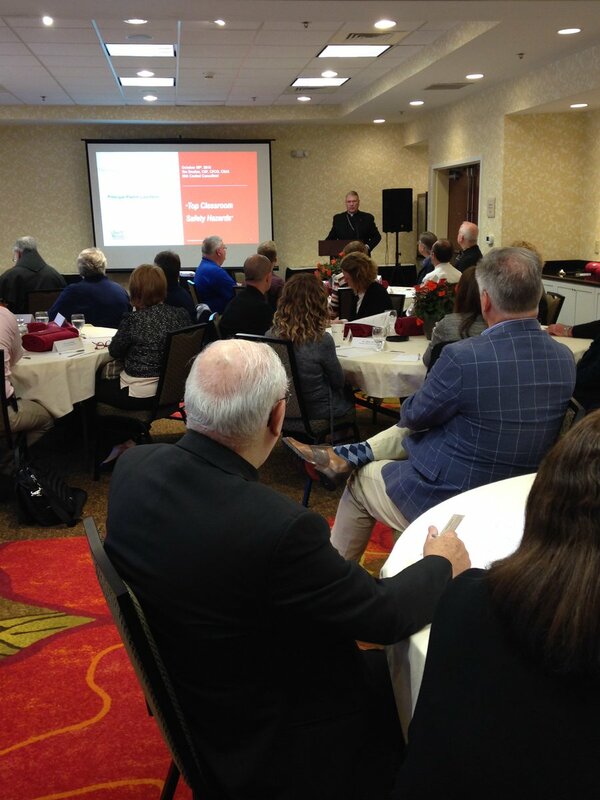 Bishop Gregory Hartmayer addressed the pastors and principals of our Catholic schools at the annual luncheon! His inspiring message was one of the highlights of the event. Thank you to our Catholic school administrators for their hard work and commitment to ministry!